Get Ready for Fun! Day Horse Camp, Riding Lessons, Therapeutic Programs for Veterans, Special Needs and Learning Disabled Students, Sponsor a Horse, Gymkhana, Horse Games, Boy Scout and Girl Scout Camp, Corporate Parties, Birthday Parties, community service, volunteering to help the ranch with its chores, help and befriend horses in need of love and more. The ranch isn't open to the general public, it is a private ranch but is available to volunteers and visitors daily by appointment from 8:30 A.M. to 5 P.M. Bring carrots, the kids and camera for a tour of the ranch. Just send us an email for your invite and directions or call 951-805-7419. We also accept donations, donations are greatly appreciated for help building the facility for the rescue horses and maintaining the horses to share with the public which donations can be can be made several ways. The community benefits with a facility like this, children, adults and especially the unwanted starved horses benefit from all the donations. Without donations this ranch would not be possible. Corporate Retreats and Company Equine Assisted Team Building: We provide customized experiential horse guided programs which bring transformational change to team members and leaders. Working with our herd teaches people how to become more effective leaders and team players. Corporate Training for Facilitators: Our corporate trainings are ideal for all who are interested in developing or improving Equine Assisted Learning and Equine Guided Team Building skills, facilitation skills, program development, and delivery of excellence to corporate clients. Come see our Western Style Venue! Close to Riverside, Norco, Corona, Murrieta, Temecula, Hemet, Perris, Canyon Lake, Menifee and Winchester! Approximately 1 hour from Los Angeles, San Clemente and San Diego. Located in Riverside County in Southern California. Oak Meadows Ranch is a private ranch and not a business or public facility. The facilities on Oak Meadows Ranch are available for those visiting the ranch to use. We welcome visitors that would like to visit the rescued horses and volunteers to help around the ranch. Oak Meadows Ranch is a volunteer-based horse ranch. Oak Meadows Ranch reserves the right to refuse some individuals from visiting the ranch. All funds to operate the ranch is from donations that were made payable to the Blue Pearl Project. When writing a check in the memo please write Oak Meadows Ranch so that those donations do go to Oak Meadows Ranch. 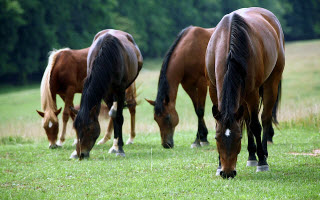 Donations to help feed and maintain rescued horses would be and are greatly appreciated. We and the horses would appreciate if each adult or family visiting donate a minimum of $20.00 to the Blue Pearl Project and those donations will go towards the feed and care of the rescued horses. Please note to make Oak Meadows Ranch possible and to share the horses with those that want to visit there is minimum of $20.00 per adult or family donation entrance donation per visit. There is a donation box at the entrance of the ranch and at the General Store near the picnic area and children's playground. We appreciate all donations and the horses especially appreciate all donations.